With so many links and companies on the sidebar, checking in for new products is a full-time job. Offering the latest and the greatest dance products to customers makes some of these sites an ever-changing merry-go-round of shoe models. 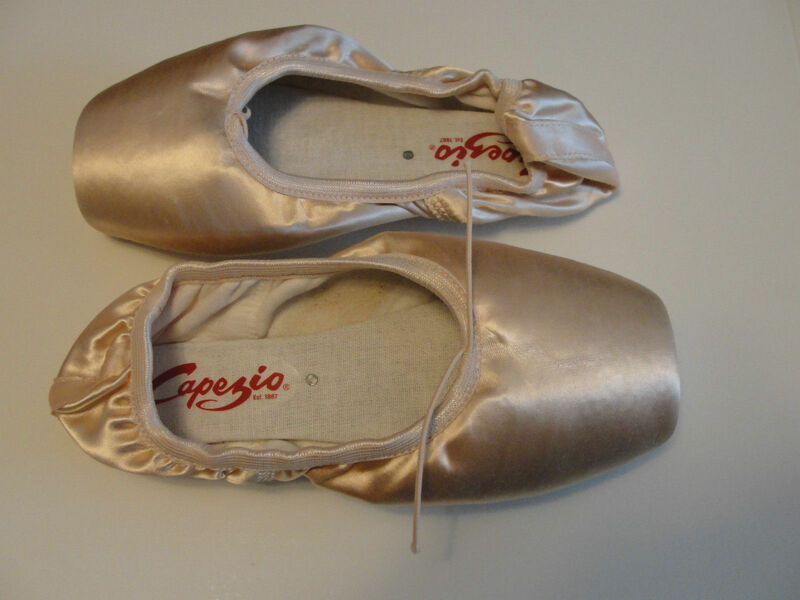 Just the other day, I was walking around in my Capezio Pavlowa’s for the sake of nostalgia. Since this is the model I wore way back when, I wondered why the vamps felt much longer than I remembered. 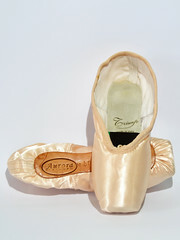 Do our toes shrink as we age, or had Capezio “revamped” the vamp? 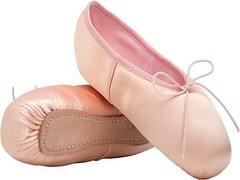 When I got to the Capezio website, I found a much smaller listing of models than I have ever seen before. Where did everybody go? Many old familiar models were gone, including the Pavlowa. However, a new model was now being featured; the Studio. Capezio Studio. 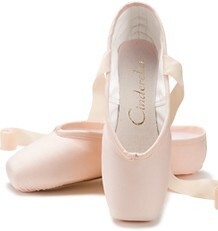 According to Capezio, this shoe has the hardest toe box in their collection. Not only is the drawstring elasticized, but the binding as well. The wing blocks are high. 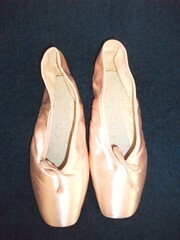 The Studio has a shorter sole, lower heels and quieter boxes. When it comes to construction methods, some dancers enjoy the shrink-wrap effect of tightly pulled elastic in their shoes. They don’t mind the wrinkled prune appearance when the shoes aren’t on. 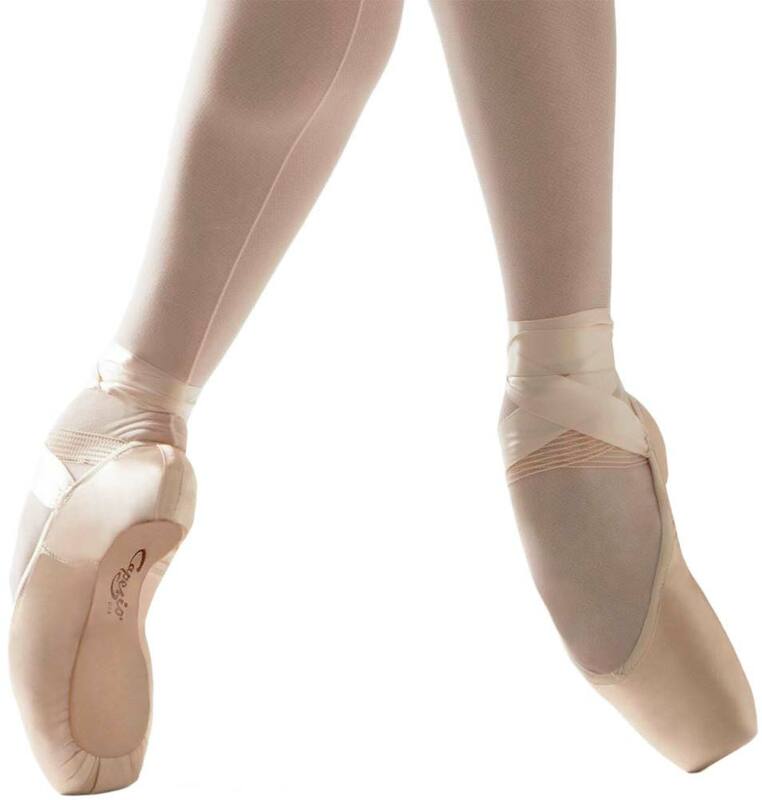 There is definitely a market for pointe shoes that stretch and conform to the foot beyond adding well-placed instep elastic and ribbons. It would take a powerhouse of a foot to break in 7.5 shanks. 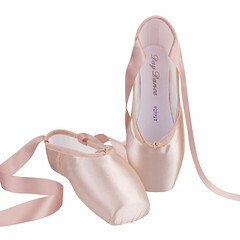 I can only imagine what a demi-pointe would feel like in a new pair; bending a slab of concrete? 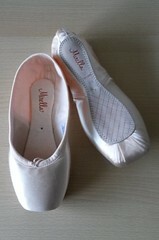 On the plus side, the Studio has all the features that could make it an incredibly tough and durable pointe shoe. 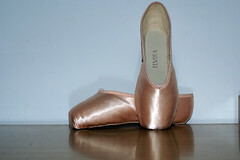 If you own a pair of Capezio Studio’s, feel free to leave your honest review here. This entry was posted in New Models 2014 and tagged Capezio Studio, Capezio Studio pointe shoe, pointe shoes with hard shanks. Bookmark the permalink.